Mauritius is self sufficient in fresh vegetables for direct consumption. The National Potato Committee is an advisory committee, regrouping all the major stakeholders, which is responsible for all strategic and policy decisions that will have an impact on the sector. Until 2009, seed distribution was controlled by the Agricultural Marketing Board (AMB), which after taking into account the volume of local seeds available, sourced the balance of our requirements from Europe, Australia and South Africa. The liberalization of the importation of potato seed – under certain conditions – which took placed in 2009, allowed private companies to source their own seeds while the AMB continued to offer its services to other members of the planting community. It ensures the distribution of local seeds to the entire planting community. It offers storage facilities for both local and imported seeds. It is responsible for the seed pricing policy for local seeds as well as imported seed sourced by its services. It sets the floor price at which it will buy any stock of ware potatoes from producers. Onion which is among the major food crops grown in Mauritius is grown mainly for the local market. Around 75% of onion in Mauritius is produced from transplant of high yielding cultivars in the period of July to November. The remaining 25% of the local production is derived from sets cultivated in the period of March to June. The local demand which is usually around 17,000 tonnes annually on average, is partially met by local production, while the rest is imported. The National Onion & Garlic Committee is an advisory committee, regrouping all the major stakeholders, which is responsible for all strategic and policy decisions that will have an impact on the sector. The Agricultural Marketing Board ensures the distribution of local seeds to the entire planting community. It sets the floor price at which it will buy any stock of ware onion from producers. Tea was introduced in Mauritius in 1760 but it was not until after World War II that tea cultivation was established as a fully fledged economic activity. Indeed, in the early 1950’s, 850 hectares were under tea cultivation, five factories had been established and production for local consumption was in full swing. Over the next thirty years, several initiatives, aimed at furthering the development of the sector, were then undertaken by the Government. However, in the late eighties the situation in the tea sector turned gloomy, largely because of low international price and the rapid increase in the local production cost. Attempts to improve the situation remained unsuccessful as Mauritius could not compete with major tea producing countries such as India, Sri Lanka and Kenya. By 2000, area under tea had decreased to some 760 hectares while tea was mainly manufactured for local consumption. Today, the tea industry is protected whereby import of black tea is not allowed except for minor amount for blending purposes. The survival of the industry depends on the extent to which it can be protected – which goes against the concept of trade liberalisation as preconised by the World Trade Organization and COMESA. Litchi is the only fruit tree species which has been developed as an export crop. The local pineapple is the second horticultural produce after anthurium with the highest export volume. Banana is the most consumed fruit in Mauritius. Annual per capita consumption is estimated to be at 30 kg. Ornamental crop production is an economically important sector, dominated mainly by anthurium, followed by rose and gerbera. 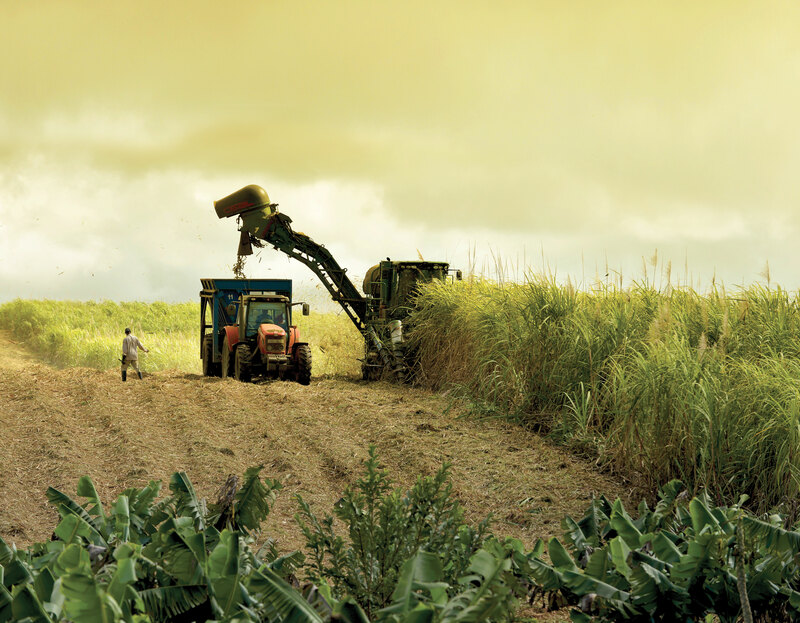 Since 2009, rice production is undertaken by a private firm on leased from sugar estates.